A Homestead and Homesteading today is quite different from its practice during the pioneer days. 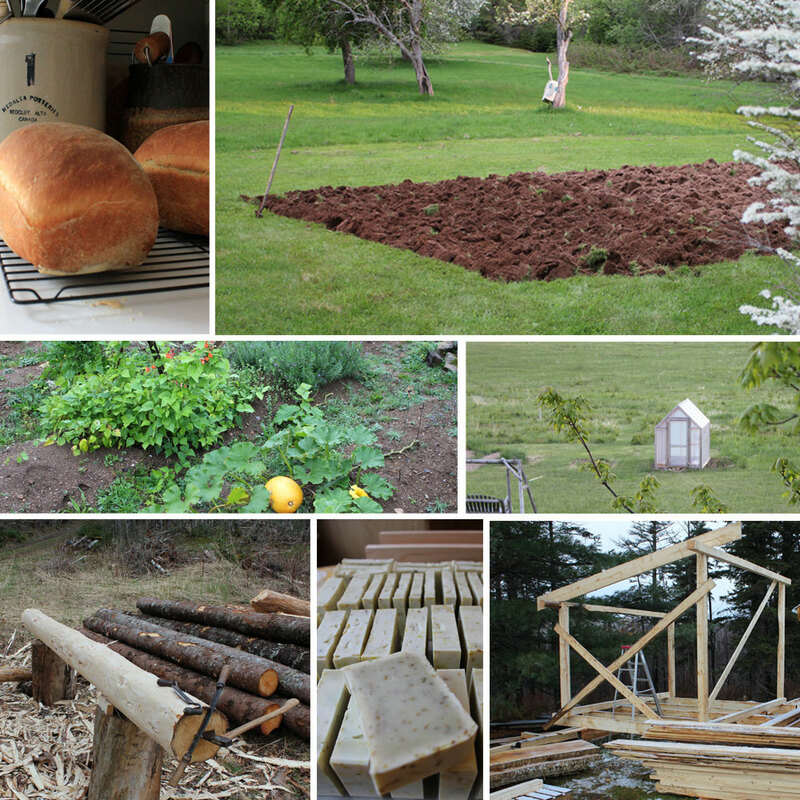 We still have the abilities to live self-sufficiently on a small piece of land however many of the techniques and tools to establish a homestead have changed. My childhood was spent on a Homestead however we did not consider ourselves Homesteaders …. it was our way of life based on my parents upbringing and experience. My parents grew up in Europe through the second World War, a time of great despair and transition. After the war the last remnants of a once predominant Agrarian society were in the final stages of decline. 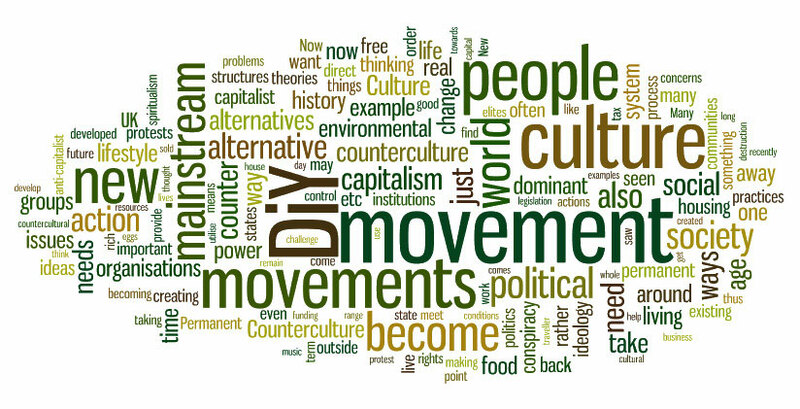 Traditional farming methods and a self-sufficient livelihood were being replaced with mechanization and corporate structuring. My parents clung to their traditional roots and this is the primary reason they decided to immigrate to Canada, so they could enjoy the freedom to live as they choose. I was very fortunate to come of age in a farming environment even though as a child one may not perceive it as fortunate. The endless daily chores, the seclusion and did I mention the chores. 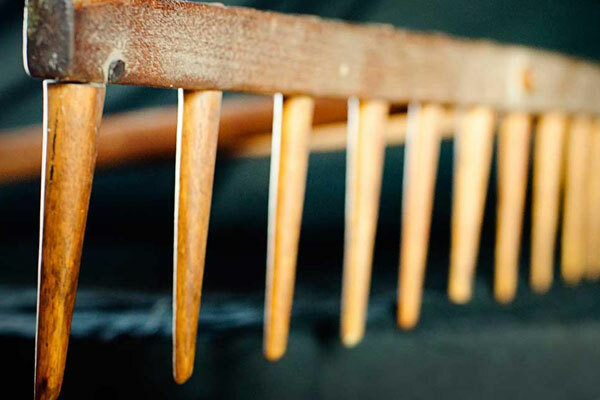 Our farm could not be considered typical for it’s time, it was more a throw back to farming practices prevalent at the turn of the century and prior. Everything we did was done by hand, to the extreme. In the early stages we mowed all our fields (approximately 8 acres) by hand using only a scythe and rake. I recall one fine summer day when my father took me into the woods carrying his bow saw and small hatchet. I curiously watched him as he selected several young poplar saplings, cut them down and peeled the bark off using the hatchet. He next cut a couple of the thinner poles into short even lengths and sharpened one end of each into a point with the hatchet. We gathered the cut pieces, took them home to the little workshop my father had upstairs. 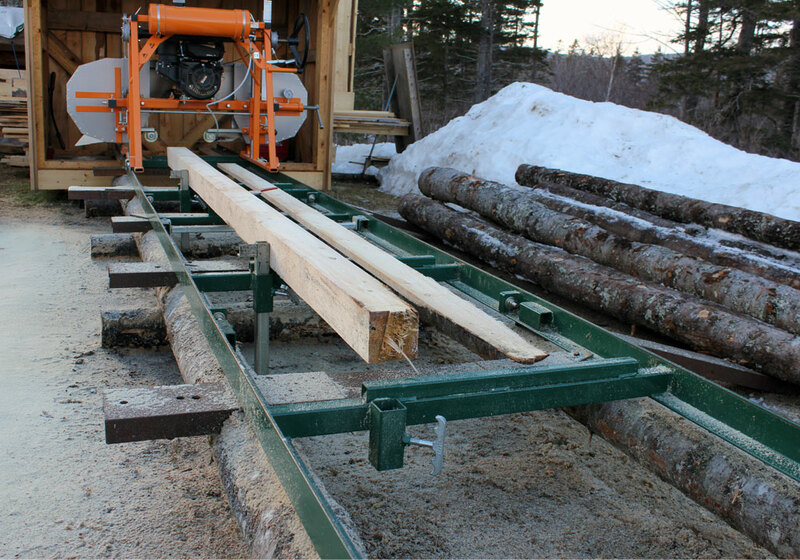 He cut a piece about 32″ long from one of the poles and placed it into the vice. Next he placed 14 evenly spaced marks on the piece in the vise and with a brace and bit carefully drilled holes through at each mark. Then he took the sharpened pegs he had cut in the woods and sized them so they would fit into the holes. Once all the pegs were positioned he wedged them in place. He drilled a larger perpendicular hole through the center of the pegged piece and sized the end of a long pole to fit into this hole. He wedged the pole into place and a wooden rake was born. He presented me with this creation and said ” This is yours, it will help to flip and rake together our field of hay” We then proceeded to the field and he taught me how to flip the hay and once it was dry I was taught how to gather it together and then pile it, carefully “combing” each large pile (hocke) so it would shed rain. This is just one of the many lessons I learned on our farm and a fond memory I keep close to my heart. My next story will be how I was taught to Pull and not Push. 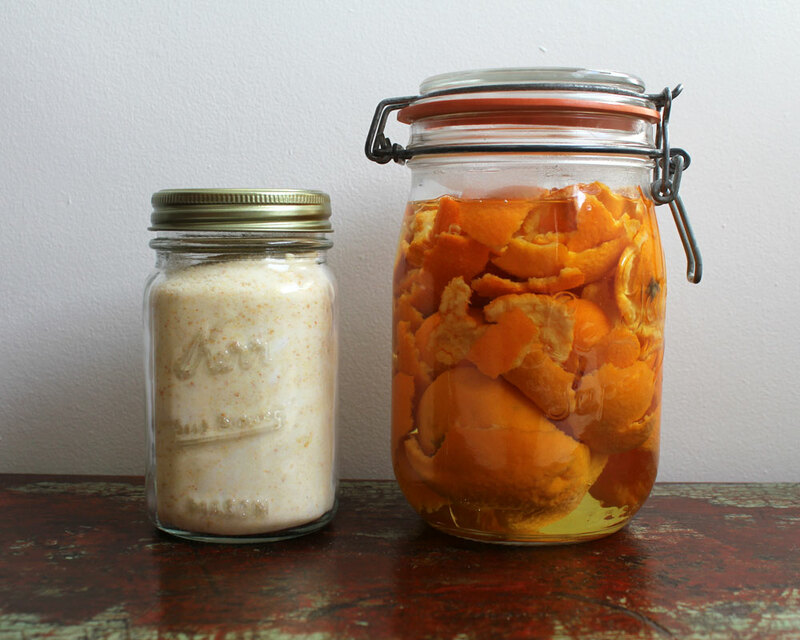 In these handmade recipes, you can use any citrus fruit peelings. Oranges, mandarins, lemons, grapefruit, etc…. I researched many different ways this could be replaced and came to one of my favorite blogs, “The Nerdy Farm wife”. Here is her link to the recipe. I love how she uses dried herbs as a scrub. 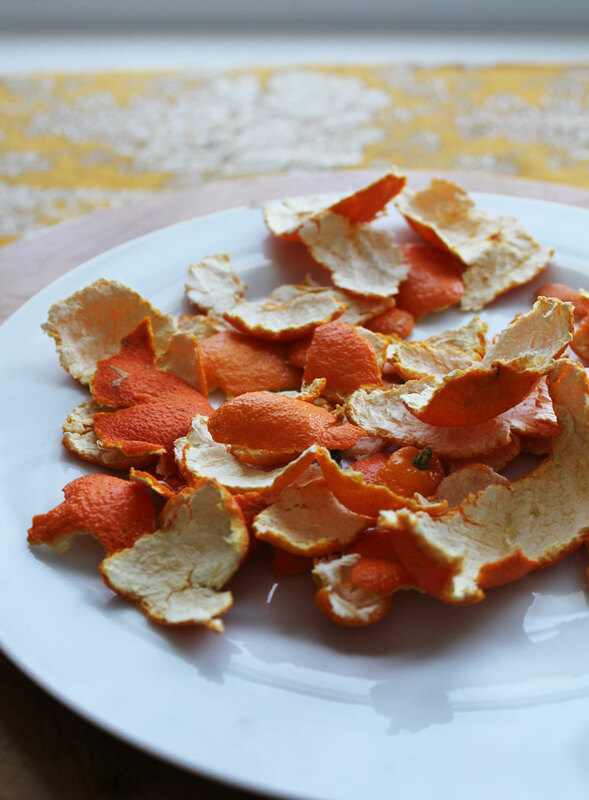 I really wanted to use up our Mandarin peels and give it a try. Plus, how nice is it to have the clean, fresh smell of any citrus while you clean? I decided to dry only half the peels we saved and use the other half for another homemade citrus cleaner. Once the peels were fully dried, I ground them up into a fine powder with the food grinder. Mix everything well and place it into a glass jar that can be tightly sealed to retain the scent. 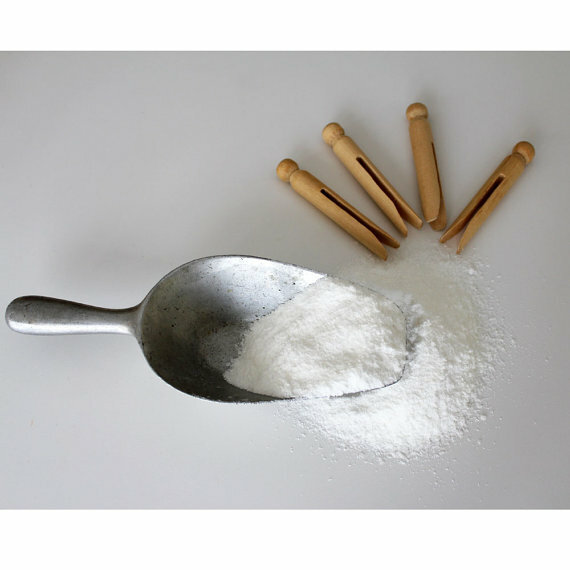 This natural scouring scrub is used for sinks, tubs, toilets, showers. Feel free to use other dried peels and essential oils. With the undried half of Mandarin peels I made this cleaner to remove grime and residue. 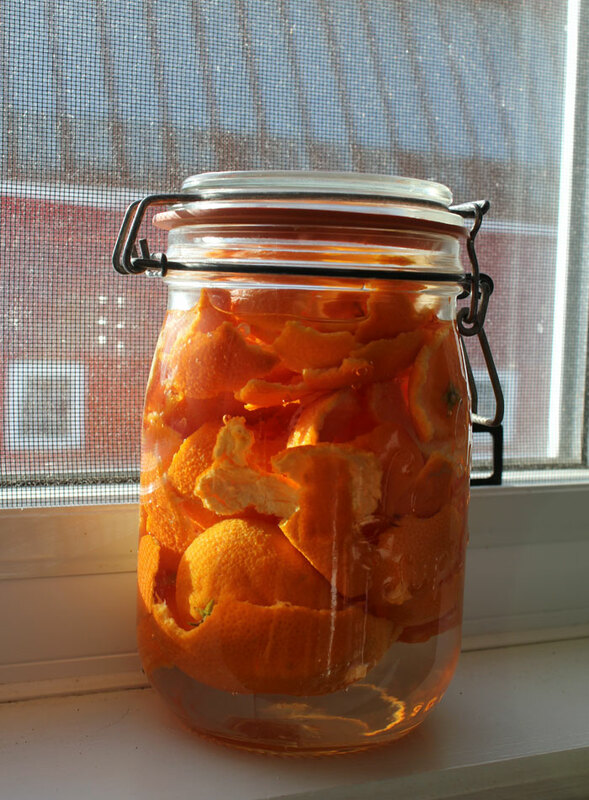 Once you have enough peelings, fill any glass jar, then add white vinegar to cover all the peelings. Leave enough space to screw on the jar lid. 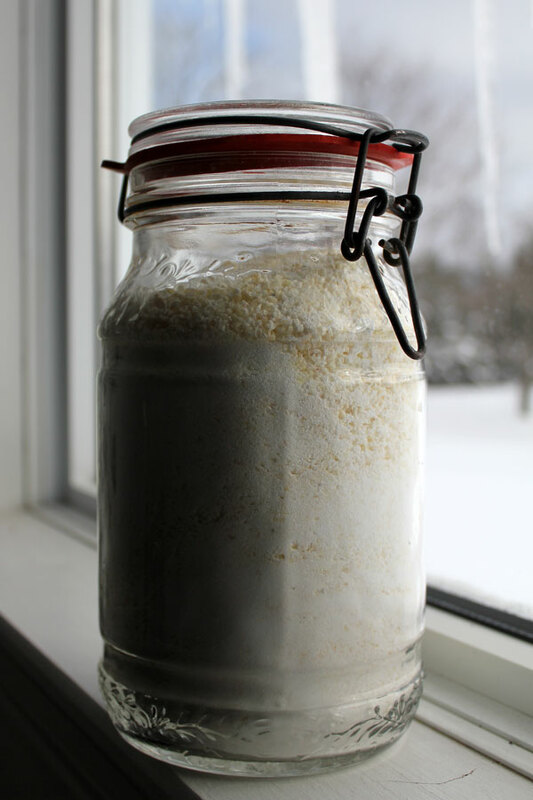 Place your jar in a dry, cool area for 7 to 10 days. This will allow the mixture to macerate (blend). This will make your cleaner smell wonderful at the same time creating the cleaner. This is a true cleaning agent and can be used throughout your home. Be careful on wood and other porous surfaces as it can discolor it. Once your mix is ready, remove the peels and compost them. I have not yet tried this mix, it’s not quite ready yet. I can’t wait to add this to my spray bottle and get SPRING cleaning. I can’t believe I haven’t made these sooner. I’m hooked and now I want to send my husband out to get me lemons. I have never thought of adding my natural cleaner into a spray bottle before. I always used my natural laundry soap mix, ( 2 Tablespoons) with hot water and mixed this into my cleaning bucket with a rag. I love this method but wanted something I could grab and spray. I decided to try a recipe I found on the web. “They have many different scents, so pick your favorite”. 2 teaspoons of Lemongrass essential oil. I mixed all these together, then added 3 cups of water. I filled a spray bottle with my mix and stored the rest in a glass jar. CASTILE Soap~Acts as a surfactant and helps lift away dirt and cut through grease. An all-natural soap that’s surprisingly strong. A few drops go a long way. Tea Tree oil~A natural oil that cleanses and disinfects. Lemongrass Oil~ Has some antiseptic and deodorizing properties, which are helpful in homemade cleaners. Vinegar~Effective for killing most mold, bacteria, and germs, due to its level of acidity. I love this mix. I have been using this for a few days now .The smell makes me happy and adds enjoyment to cleaning. 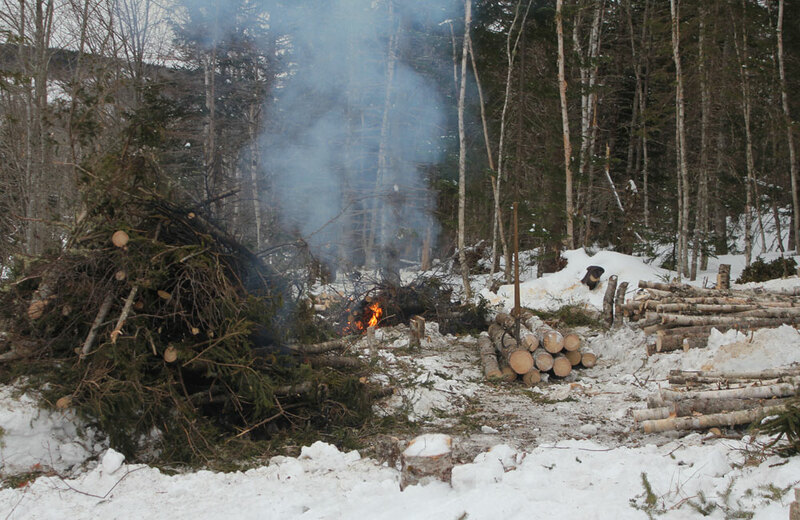 It’s been far to cold to mill lumber over the past couple weeks, however it’s perfect weather for working in the woods. I’ve taken this opportunity to clear an area of forest which will become the Disposal Field for our on-sight Sewage System. 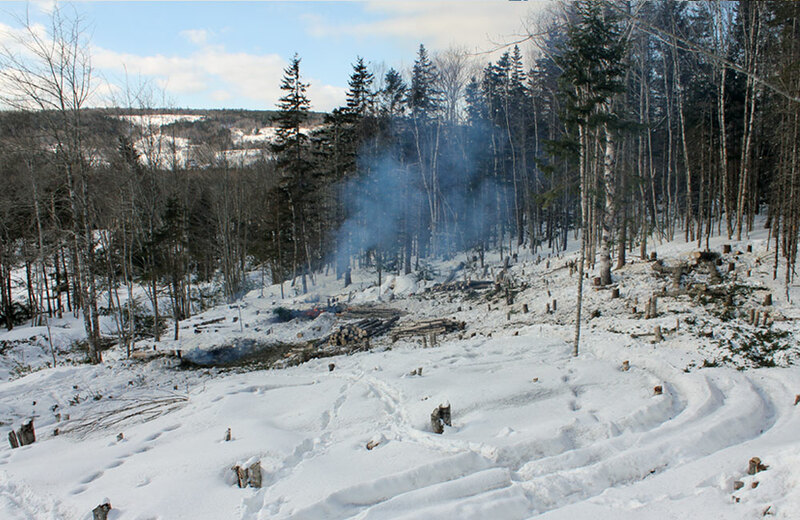 After several days of slogging through 3 to 4 feet of snow just over half an acre has been transformed into an open space producing several cords of firewood and over 60 good sized logs which I will be mill into timbers for the house. Once the Disposal Field is in place we will develop an orchard within the remaining portions of this site. The next project is to clean out some of the fallen and dead debris in the forest surrounding the building site and expanding the garden area on the east side of the house. With a forecast for warm weather on the weekend skidding logs out will also be a priority, to get them to the mill. If you are planing to change a few things around your home to remove and reduce chemicals and toxins, this is the easiest way to start. Clean your cloths without synthetic dyes or perfumes that can be extremely harmful to people with sensitive skin or allergies. 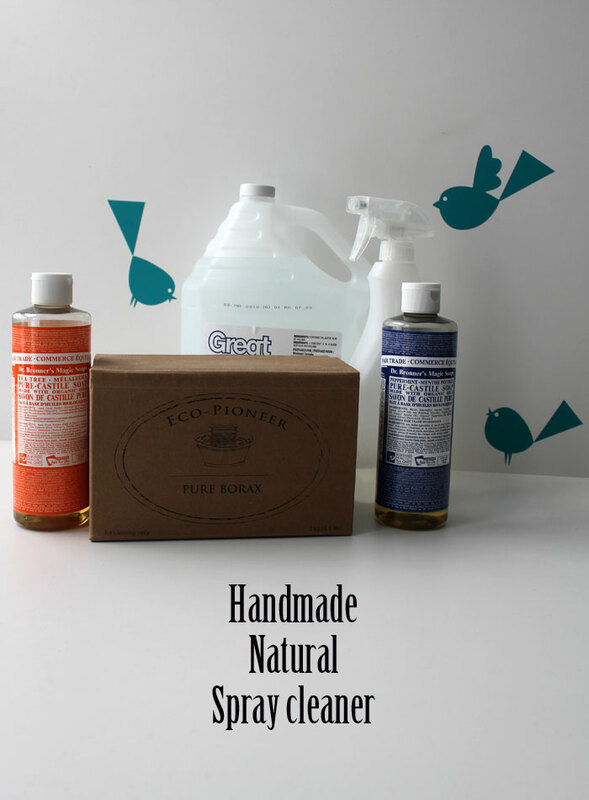 You will never go back to those pricey store bought laundry soaps again. 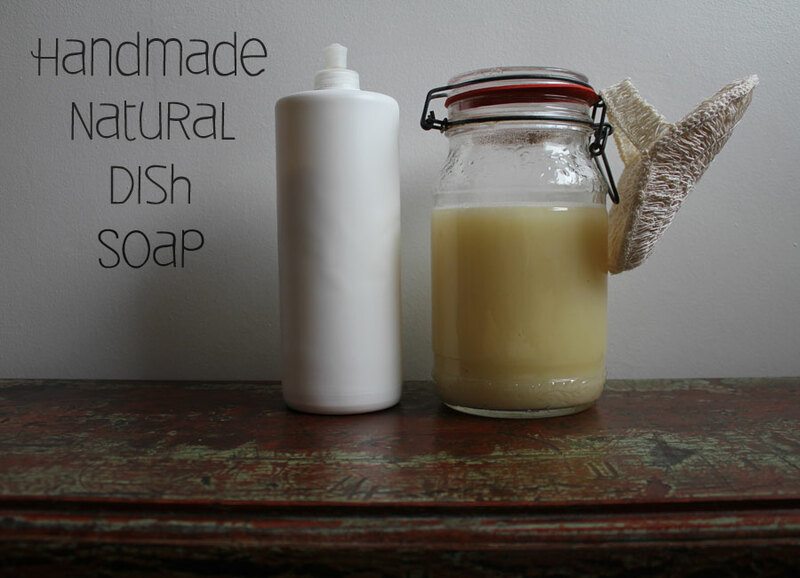 I started making this laundry soap over 6 years ago and still make it using just a few “back to basic” ingredients. We buy these products through Well.ca but you can find most of these ingredients at your local grocery store. 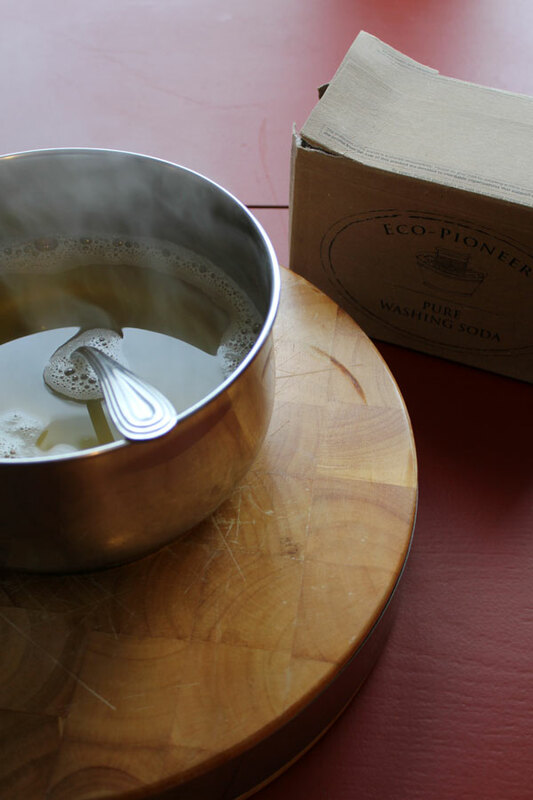 Here is the easiest DIY natural laundry soap. Add a teaspoon of your favorite essential oil and mix up very well. Best scents for laundry are Sweet orange, Lemon, Lime, Peppermint, Grapefruit, Tea tree, etc. Once you have mixed up your laundry soap, store it in an air tight jar to keep the essential oils locked in. This will last you many, many washings. I add 2 to 4 tablespoons in about 2 cups of hot water to dissolve it before adding into the wash, this helps dissolve it since I wash with cold water. I add vinegar to the final rinse to soften the cloths and to help remove any soap residue. Please note that you will not get a lot of bubbles, but it’s not needed since your cloths will come out nice and clean. This is a great laundry soap for cloth diapers, babies clothing, people with sensitive skin, and will work with HE washing machines as well. A homestead or farm presents many skill requirements and numerous young people are willing to learn these important skills. Acquiring apprentices is an important means to assure the continuation of small farms and farming, as well as teaching youth the essential skills of basic survival. I have had the opportunity to share the many facets of my woodworking skills with several apprentices over the years but have never considered passing on the extent of my other learning in natural subsistence and sustainable survival skills. I have decided to seek out prospective applicants for a program formatted towards essential farming/homesteading skills. The mission of this endeavor is to enhance our relationship with the rural Cape Breton landscape by applying and teaching the essential skills of sustainable living and small-scale farming, thus invigorating a more functional collaborative community. Over the next few weeks I will draft an application including a detailed outline for this program. Focus for this program will include Organic Gardening, Sustainable Forestry, Traditional Arts and Cottage Crafts, Renewable Energy, Alternative building, Herbology just to mention a few. Stay Tuned for further details! 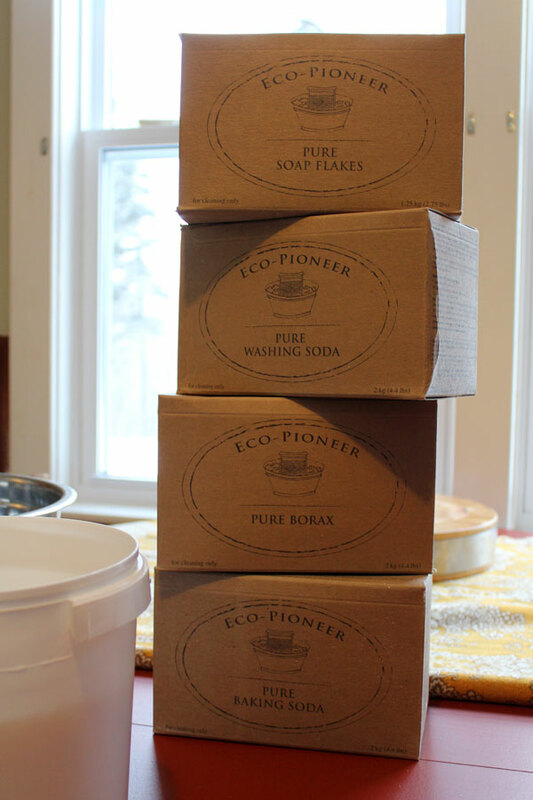 A good friend had asked me awhile back if I had ever made my own dish soap…. I had never tried it before, I would take my laundry soap mix and sometimes use it to wash our dishes, only if I had run out of our regular dish soap. It worked O.K but I would never use it on a daily bases. So, I really wanted to give dish soap a try. 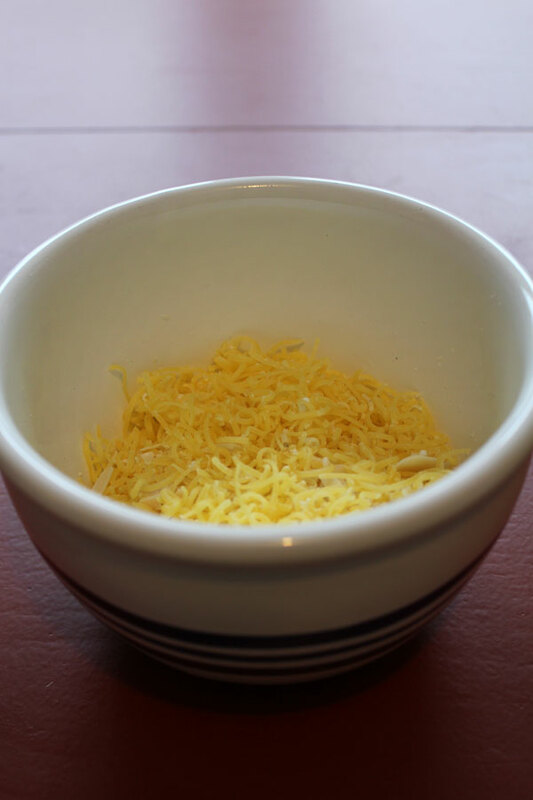 I researched a lot of different DIY recipes online and finally found one that I liked. Funny thing is, I can not find it again to give you the link. I just wrote the recipe down on scrap paper. I doubled up the recipe and tried it out. I’m very impressed with how well this cleans the dishes to a shine. It has a bit of bubble (I like) and the best part is that my sink looks extra clean after all my dishes are done. I have always had to scrub out my sinks with Comet after. I know, I know…… This is on my next DIY list. 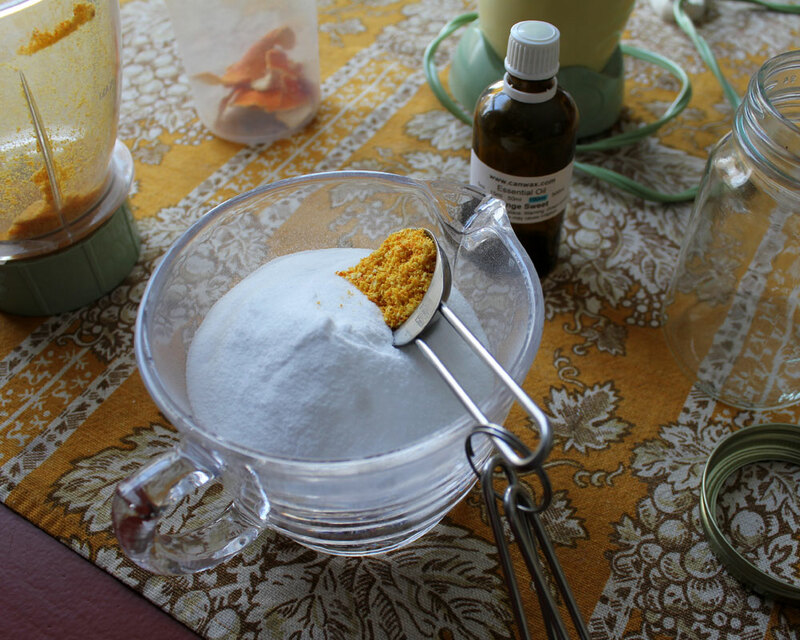 Make my own natural comet cleanser. What I didn’t like was how runny it was. Glycerin in this recipe is optional so I did not use it. I added Lemon Eucalyptus to my first batch and found it way to strong of a smell for me. I like this scent, but not all day leaning over my sink. It is best to use antibacterial essential oils like Lemon, Eucalyptus, Sweet orange, Geranium and Lavender. Here is the 2nd try with my very own recipe. 1 teaspoon of Lemon and 1 teaspoon of Sweet Orange essential oils. 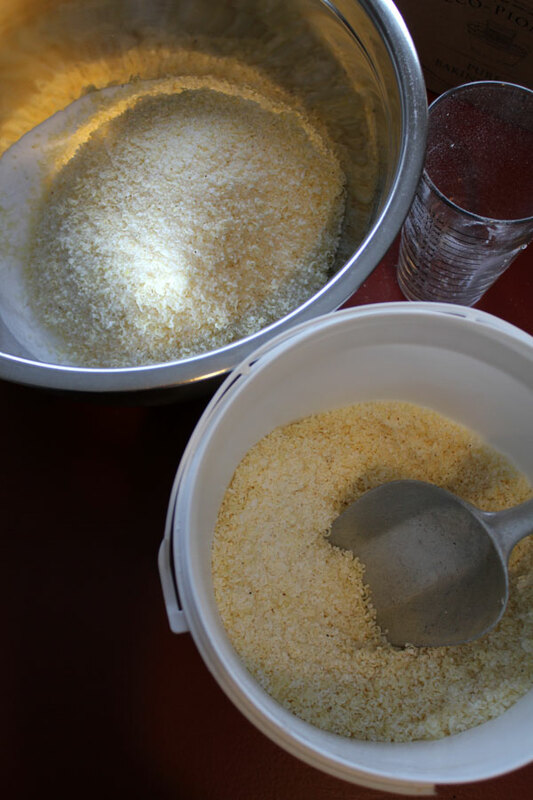 Add grated soap to water, bring to a boil and stir until dissolved. Add washing soda to the soap mix and stir. Turn off heat and cool down. Let mixture cool completely, then add essential oils. Transfer to re purposed soap dispenser and use as regular dish soap. Please note that this dish soap will thicken within a few hours. I was very surprised with this but it’s due to the washing soda. If you find it too thick, just add some warm water to the soap and shake it up. You can adjust the amount of washing soda you want to use.